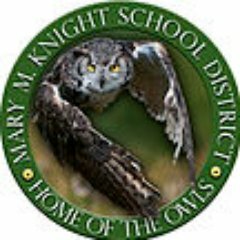 The Mary M. Knight girls’ basketball team held Three Rivers Christian scoreless in the first quarter of their 2019 District 4 1B Girls Basketball Tournament game in Matlock Wednesday and the Lady Owls beat the Eagles 49 to 27. The MMK girls had a 10-point halftime lead that increased to 12 in the third. Mary M. Knight out scored TRC 16 to 6 in the fourth and advanced to the tournament’s semifinal as well as the double elimination portion of the tourney. The Owls take on Naselle at 3 PM Saturday. That game will be played at Ilwaco High School. The teams split their regular season games this year with each winning on the other’s home court. The Mary M. Knight boys’ basketball team hosts Three Rivers Christian Thursday in the District 4 Tournament. Tip off in Matlock is 6 PM. If there is interest in MasonWebTV Powered by HCC providing a live broadcast of Saturday’s game, please send an email to Sports@MasonWebTV.com or call 360-229-2234.